Brian and I love toys and entertainment for the kids that is also educational, like most parents probably do. I think if it’s done right then kids can really enjoy learning new things, and hopefully have that be a quality that continues throughout their lives. 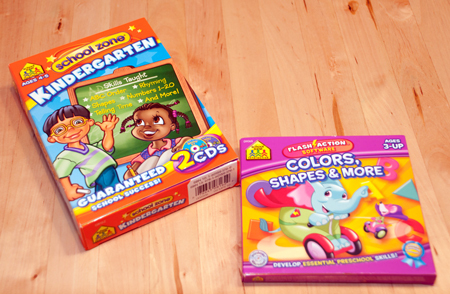 School Zone is a company that provides all sorts of fun and educational products for babies, toddlers, preschoolers and kids – they have a variety of options available – workbooks, software, flash cards, reading, and activities. There are flash cards and board books perfect for baby gifts, and I’d personally love to have these for my baby to use. They allow you to introduce letters, shapes, colors and more at an early age with bright images to keep interest. We got a chance to review two software titles from School Zone: The Kindergarten 2-Pack On-Track set, and the Colors, Shapes & More software for ages 3 & up. The boys were really excited to each have their own computer game to play. They haven’t had a whole lot of time on the computer up to this point, so beyond the educational aspect we’re glad for them to get some practice using a mouse and getting comfortable with the computer. We let J go first – I sat and watched but let him do everything. The game is set up to where it’s really easy for kids to maneuver through, and there’s a voice that speaks instructions so kids don’t have to be able to read to play. The activity above was a lot of fun for J – he liked finding the rectangles “hidden” in the pictures. This software was also age-appropriate and filled with fun activities. 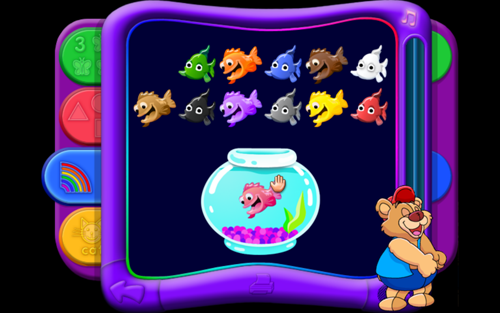 C could pick from numbers, shapes, colors, and animals – the screen shot above had him find the pink fish to put in the fish bowl, for instance. I’d highly recommend the School Zone software. I think it’s especially great for pre-k aged kids to provide them with some learning foundations before they go to kindergarten. 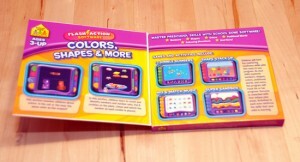 I love the activity books….my daughter is obsessed with maze books! Alphabet flashcards would be great! I’d like the Beginning Reading software for my son. I think the Big Hidden Pictures & More! 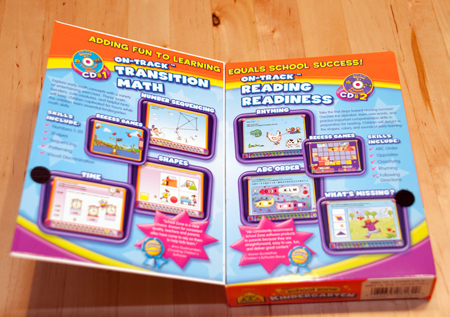 Workbook looks fun. 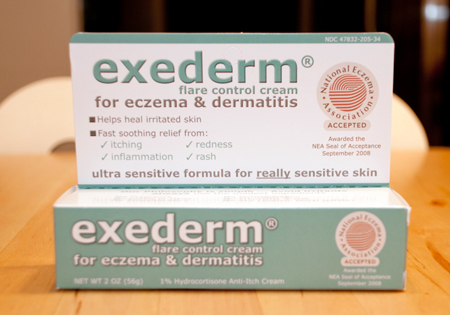 So many awesome products! 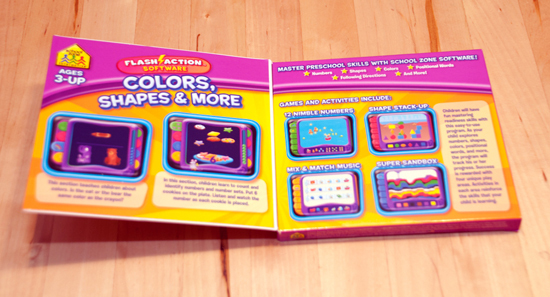 I especially liked the Super Flash Action Preschool Software & Workbook! I like the Start to Read! Level 3 Early Reading Program 6-Book Set. 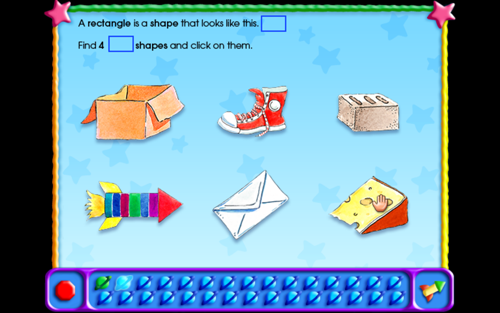 I like the preschool-kindergarten super scholar software. My fave is Start To Read Complete! I like the Big Preschool Activity Workbook. I like the Wonder Words software and workbook. My favorite is the Pencil-Pal Preschool Software & Workbook. Thank you for the lovely giveaway! The Beginning Reading Computer Software! 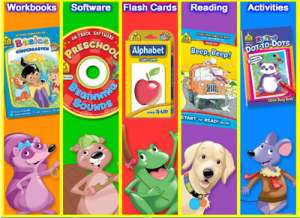 I like the preschool – kindergarten Super Scholar software pack. Looks like lots of skills are covered in a fun, interactive format! I also like the fractions 5-6 workbook for my oldest kid. My favorite product is the Multiplication 0-12 Flash Cards. I want the color by numbers book for my son! The Big Preschool Activity Workbook looks like it would be fun. My favorite is the big hidden pictures!